Romania - Reception N.Chaushesku the meeting, the Union of Writers of the socialist countries. 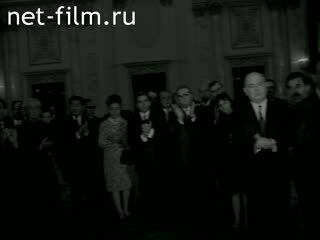 Romania - Reception N.Chaushesku American astronauts - the crew of "Apollo - 12". Yugoslavia - Tito in his office. 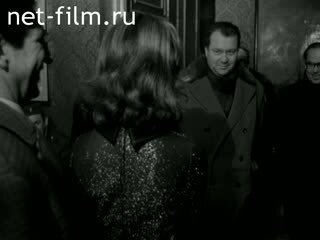 Czechoslovakia - A delegation of Soviet filmmakers headed by VN Firebrands in Bratislava. And Prague? Poland - The commandant of police in Krakow Colonel Valach - the author of the book "It was the time in Poland." 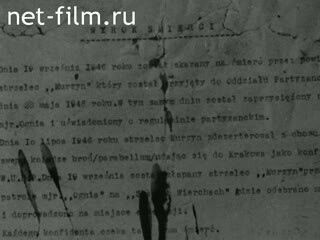 (About the Anti-Gang in Poland after the war.) France? And the other - spring in Europe. The religious procession of villagers (lifted from the cross on the hill). 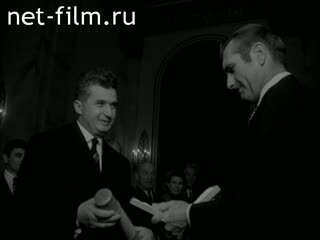 Yugoslavia - "Chess Match of the Century" (between the USSR and the team of the world). Religious procession of villagers (carry the cross on the mountain). 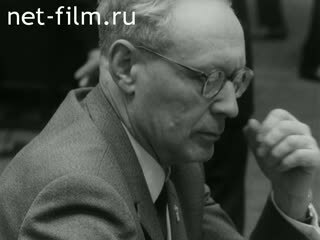 "Chess Match of the Century" between the USSR team and the team of the world. Police commandant Colonel Valakh - author of the book "It was a time in Poland" - talks about anti-gang in Poland after the war. Delegation of Soviet filmmakers headed V.N.Golovnya in Bratislava. Reception N.Chaushesku American astronauts - Crew "Apollo - 12": Charles Conrad, Richard Gordon, Alan Bean. 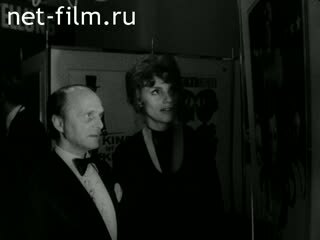 Exhibition of posters and photographs dedicated to cinema. People in front of the theater "Metro". 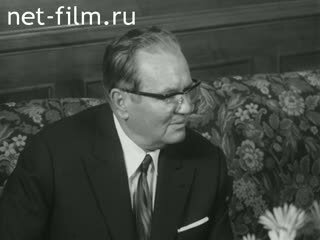 President of Yugoslavia Josip. B.Tito receives a delegation in his office, smoking. Reception N.Chaushesku the meeting of the Writers of the socialist countries.